Last year at E3 we heard Metro: Last Light was coming to Wii U. Well, now it seems it might not be, as THQ's global brand manager Mark Madsen told Digital Spy the game might not make it to Wii U. Not sounding massively confident there, but it could still happen. How do you feel about this news? Disappointed, but then again, what would they use the Wii U tablet for, anyways? A HUD? Metro never had a HUD. i dont understand the reason why not? It isn't even out yet and already developers are pulling their support for the Wii U. Joking aside, this is clearly a reflection of the state of THQ rather than an omen for the Wii U. If it does make it to the Wii U, it's only a maybe purchase for me so I won't really care that much if it doesn't make it. If I were to buy it I'd get it on PC anyway, like all my 3rd party games. So this doesn't affect me. But still, the more games the merrier so it's still a shame if this were to happen. This isn't going to happen AT ALL. Not just on Wii U. THQ is in a total crisis state, and everybody knows it, so I'll be suprised if this sees the light of day. @Demonic Yep, like practically all the third-party games last year, it was PS3, 360 or PC footage. Eh guess ill get it for 360 instead. @Demonic Nah, it was just too early to show off anything more than tech demos — though I hear Darksiders II was up and running on Wii U in a matter of weeks, and looked as good as the 360/PS3 versions. Still, we'll all see what Wii U games look like next week, won't we? I would guess they are trying to save money after massive losses and sacrifices. nooo, i would really have liked to have more 3rd party games on Wii U, hope they'll get all the 3rd party stuff that lands on Xbox and PS3 on Wii U as well, then Wii U will truely be a 100% console. Sounds about right, they are losing money after all. But... That teaser trailer with zero gameplay footage looked so appealing! Nintendo should really include an option to turn off the screen on the controller for these guys, that way they could just make an upgraded graphics port if they don't want to tackle with the controller, would simply mean more games, although some devs might get lazy and start doing that just because. Well it would also help the Wii U take on the higher graphics and power hungry games if it really needed too. I hope this isn't the start of a long list of 3rd party games cancelled for Wii U. @DogNut64 cancelled wii u games?!?!?!?!??!?!?!?!?? (shivers) please don't remind me! This is just a bad omen for more cancelled wii u games. Kind of disappointed but I don't think it will matter much in the big scheme of things! Sad to see THQ who are known for Nintendo support pulling a title but they are in financial trouble so maybe this is good for them. I liked what i've seen about this game and its predecessor. Hope they take the criticism for the first one into account and that it's still coming to the Wii U one day. 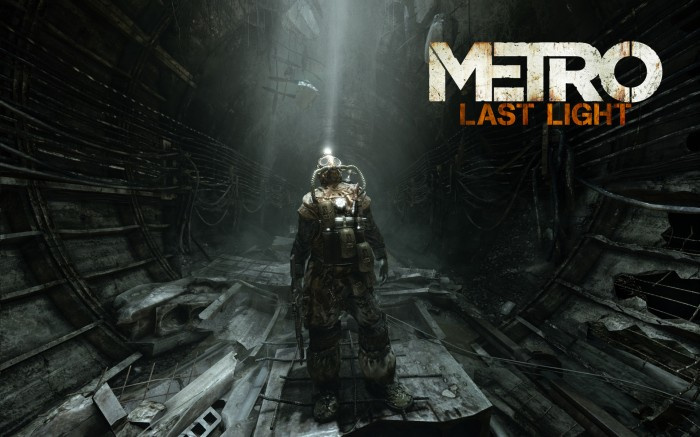 Quite a big blow for me, the one thing I've constantly lamented in being a devoted Wii gamer is the lack of FPS games, and Metro 2033 in particular looked awesome, so I was excited for Last Light on Wii U. Ah well, we'll have Aliens, Killer Freaks and I'm assuming Black Ops II? I hope this Mega Man Legends 3 all over again. Just like the Saints Row game that was announced for 3DS... i don't blame them. As much as I'm looking forward to the Wii U, I just can't see it being a console for shooters, more so when it doesn't have a dedicated controller for this genre. On top of that, most publishers will probably sit back to see how console sales go. I think shooters are best left for the PC, Xbox and PlayStation. But if Nintendo wants to change that, it needs to release a dedicated controller like with the Xbox 360 and PlayStation 3. Gamers and publishers just don't seem to take Nintendo consoles seriously when it comes to serious games. But I just can't see how the Wii U will fair against the Xbox 720 and PlayStation 4 which will be monster consoles, right up there with high end PC tech.